This article is about the political phenomenon. For the song by Living Colour, see Cult of Personality (song). 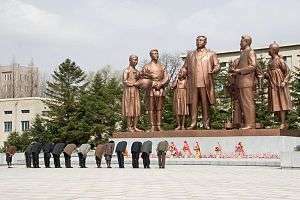 People paying homage to statues of Kim Il-sung in Pyongyang, North Korea. A cult of personality arises when an individual uses mass media, propaganda, or other methods to create an idealized, heroic, and at times worshipful image, often through unquestioning flattery and praise. Sociologist Max Weber developed a tripartite classification of authority; the cult of personality holds parallels with what Weber defined as "charismatic authority". 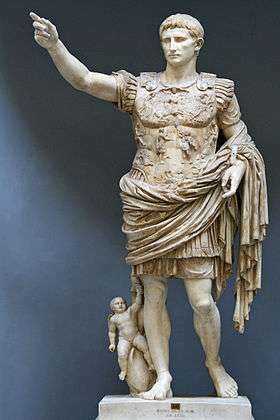 A cult of personality is similar to Divinization (Christian), except that it is established by mass media and propaganda usually by the state, especially in Totalitarianism (or sometimes Authoritarianism) states. The terms "cult of personality" and "personality cult" were further popularized by Nikita Khrushchev's initially secret speech On the Cult of Personality and Its Consequences given on the final day of the 20th Congress of the Communist Party of the Soviet Union, February 25, 1956, which criticized the lionization of Josef Stalin and its contrariness to the originators of Marxist doctrine. Robert Service notes that a more accurate translation of the Russian "культ личности" ("kul't lichnosti") is the "cult of the individual". Throughout history, monarchs and other heads of state were almost always held in enormous reverence. Through the principle of the divine right of kings, in medieval Europe for example, rulers were said to hold office by the will of God. 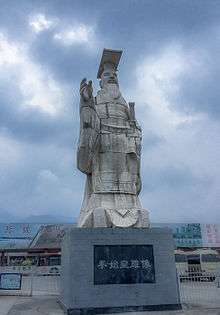 Ancient Egypt, Japan, the Inca, the Aztecs, Tibet, Siam (now Thailand), and the Roman Empire are especially noted for redefining monarchs as "god-kings". The spread of democratic and secular ideas in Europe and North America in the 18th and 19th centuries made it increasingly difficult for monarchs to preserve this aura. However, the subsequent development of photography, sound recording, film, and mass production, as well as public education and techniques used in commercial advertising, enabled political leaders to project a positive image as never before. It was from these circumstances in the 20th century that the best-known personality cults arose. Often these cults are a form of political religion. Personality cults were first described in relation to Totalitarianism regimes that sought to alter or transform society according to radical ideas. Often, a single leader became associated with this revolutionary transformation, and came to be treated as a benevolent "guide" for the nation without whom the transformation to a better future could not occur. This has been generally the justification for personality cults that arose in totalitarian societies of the 20th century, such as those of Adolf Hitler, Joseph Stalin, Benito Mussolini, Francisco Franco, Kim Il Sung, Ho Chi Minh, Ferdinand Marcos and Saddam Hussein. 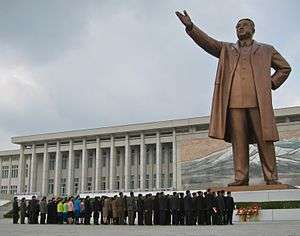 Not all dictatorships foster personality cults, while not all personality cults are practised in dictatorships (some exist in a few nominally democratic countries), and some leaders may actively seek to minimize their own public adulation. For example, during the Cambodian Khmer Rouge regime, images of dictator Pol Pot (Saloth Sar) were rarely seen in public, and his identity was under dispute abroad until after his fall from power. The same applied to numerous Eastern European communist regimes following World War II (although not those of Enver Hoxha, Nicolae Ceaușescu and Josip Broz Tito). 1 2 3 4 Heller, Klaus (2004). Personality Cults in Stalinism. pp. 23–33. ISBN 9783899711912. ↑ Service, Robert. Stalin: A Biography. p. 362. ISBN 9780674022584.